It ought to be a simple truism that a lively concern for the gospel and the Christ-event, as it is centered in the life and person of Jesus of Nazareth himself, is the marrow of all true Christian faith and practice. Yet in neither academic theology (generally speaking), nor in the typical church context, is there a strong and passionate interest in Jesus. The classic (standard) “lives” of Christ, which nurtured the piety of my family and church, did not have a lively interest in the Jesus of the biblical story. Many of these accounts were born of a form of apologetics that arose in the nineteenth century that sought to counteract historical positivism. These “lives” attempted to make the gospel plausible by adopting, in all their essentials, the same form of proofs used by the skeptics. 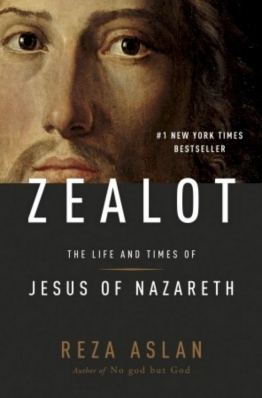 We were modernists, in other words, who used rationalistic forms of fundamentalism to counteract the liberal “lives” of Jesus that were gaining interest much like Reza Aslan’s best-selling book Zealot did in 2013 once Fox News blew up the story for conservatives. There is no doubt that these more conservative “lives” of Jesus served a purpose. For example, they made Nazareth, Bethlehem and Cana come alive for readers. We could now place these on a real map and even learn about them and visit these sacred places on special tours. What the apostles preached in its fulfillment of the commission of Christ, afterwards they and apostolic men under the inspiration of the Holy Spirit handed on to us in writing. . . . with that clearer understanding which the authors enjoyed after they had been instructed by the events of Christ’s risen life and taught by the light of the Spirit of truth. The sacred authors wrote the four gospels, selecting some things from the many which had been handed on by the word of mouth or in writing, reducing some of them to a synthesis, explicating some things in view of the situation of their churches, and preserving the form of proclamation. A central problem today is that so many people have had their own personal faith experience that they have found to be rewarding and fulfilling that they are not interested in the Jesus of the story. At the end of the day any person’s personal experience is irrefutable by anyone else. But one can, and should, strongly object to fuzzy ways of thinking and speaking when they are neither reliable nor consistent with the biblical narrative. If Christian faith is to be alive and healthy then it must be clearly and consistently identified with Jesus, not with whatever we are doing and saying and calling Christianity. 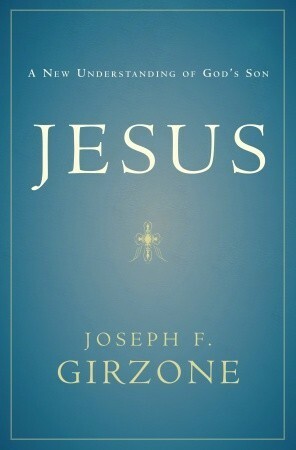 Bruce Vawter said this very well when he concluded: “The only Christ with whom we can have any contact beyond our own imagining, the Christ who is the indispensable referent for any alleged experience of him in life or liturgy, is the Christ of the gospels (The Man Jesus, Doubleday, 1973, 23, italics are mine). I wonder if it would not be helpful for Christians to view the New Testament in a similar way as the Jewish generally view the Old Testament. In Judaism the Torah is seen as the central revelation of the Law, with the writings and Prophets, and the tradition all explaining the Law regarded as central to the Hebraic Scriptures. A similar construct might help many of us as Christian believers, to see the Gospels as central and the Epistles as essential canonical explanations orbiting about the Gospels as the central revelation of Christ. I hear you, John. Two of my favorite passages in the New Testament are: Matthew 27:22 “Pilate said to them, “Then what shall I do with Jesus who is called Christ?” and Matt. 16:13 “Who do people say that I am.” This are fundamental questions of our faith. John, this part 1 and part 2 are two of your most profound articles on your blog, in my opinion. I say this not because your articles justify any of my thinking, but because your articles challenge my thinking, and lead me to the center of what faith is supposed to be about– the person of Jesus. And what is more, faith is to be about that Person living inside of you. As you propose, I for one do need to move beyond my personal faith experiences and let the Person of Jesus speak and move through me from within. This made me think, when did “sin” become our God and “repentance” our Savior? Thanks Brian. From you this means all the more to me brother. This is magnificent stuff, John, and it hits the nail(s) squarely on the head(s)! Amen! best article of the year…. the primacy of Christ, how can we about anything else…..
All of which is to say, This is exactly the project of N.T. Wright in all his work. Thankful for him and for you, John.